Today’s episode is a blueprint of how I started my new side hustle, Murphy Concierge. Why did I start it? What steps did I take to get started? 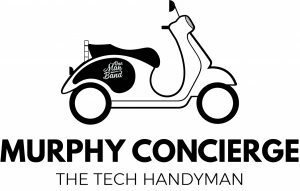 What are my goals for Murphy Concierge? Today is for those of you looking to add a side hustle to your existing business or in addition to your full or part-time employment. My side hustle helping people locally fix their iDevices and Macs and providing troubleshooting, fixing and training for digital products and online tools. Why Did I Start This Side Hustle? To pay the bills while I build my online personal brand and business and because it is a service I already do and love, but have not been marketing myself up until now. What steps did I take to get started? What tools and resources did I use? Use GoDaddy to search for available names. Sign up for Gsuite and get 20% off annual fee. Canva.com is free and easy. To enjoy it and generate $5,000/month. My introductory rate is $75/hour. That means I need 66 jobs/month or 2.2 per day.